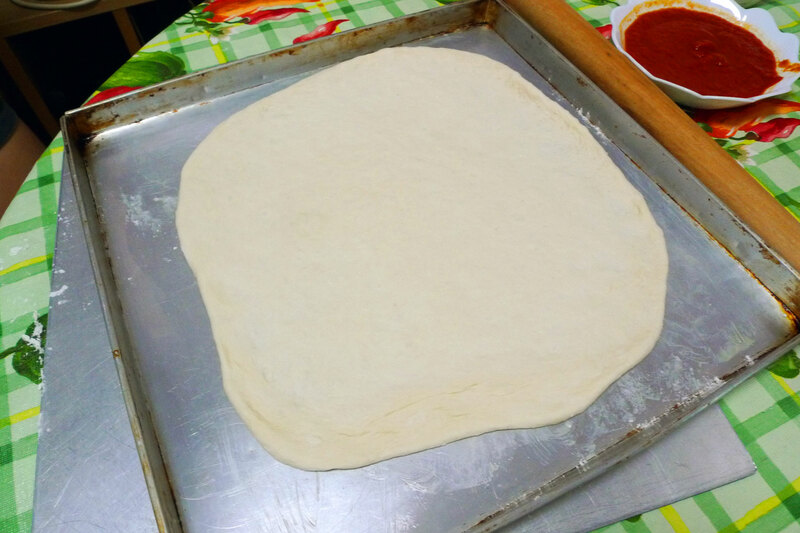 After the success of the previous pizza making adventure, I decided to make even more pizzas this time, for my family and my aunt’s family. 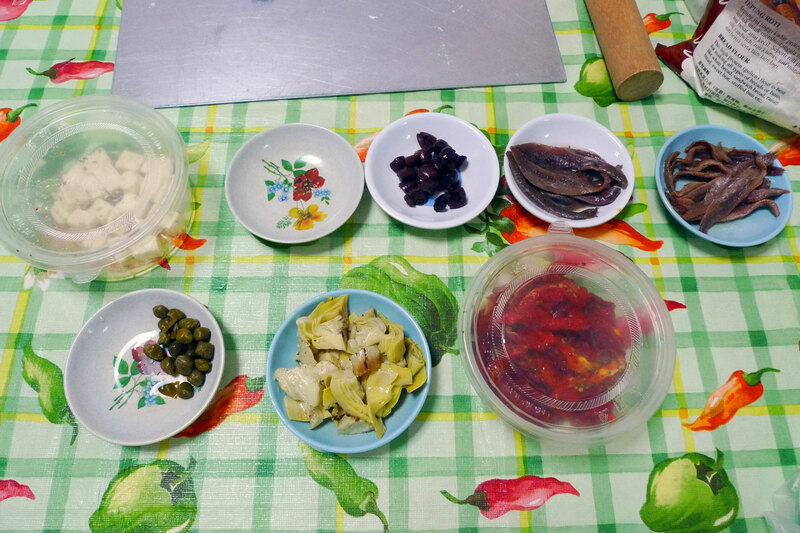 You can see some of the ingredients we used below. 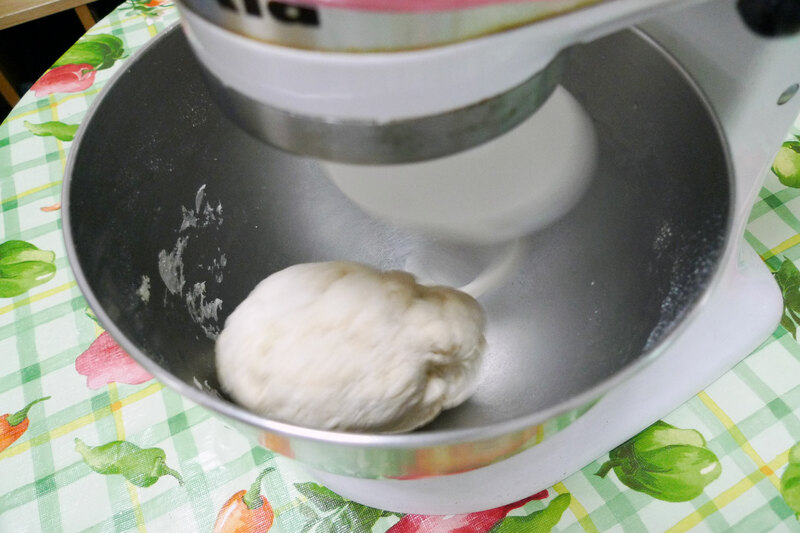 Once you have a decent clump of dough, throw it in the processor to let it do the dirty work while we sit back and relax. 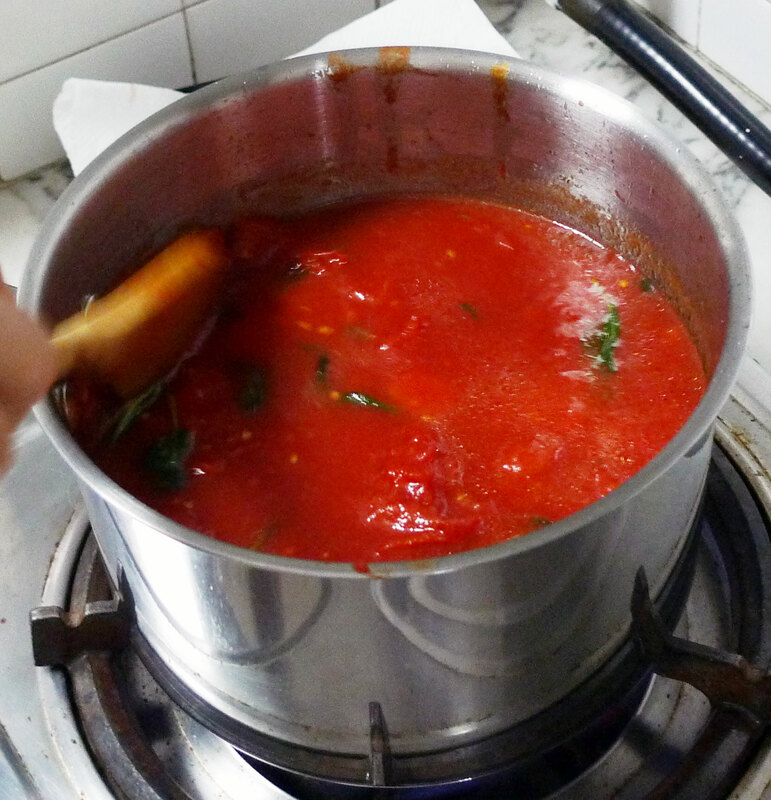 While we wait for the dough to rise, we prepare the tomato sauce for the pizza. This was a version of tomato alla carrettiera, named after the cart-drivers which brought the produce from the hills to Rome. They made their sauces from the least expensive and most abundant ingredients available to them. In this case we used garlic and basil in the sauce. 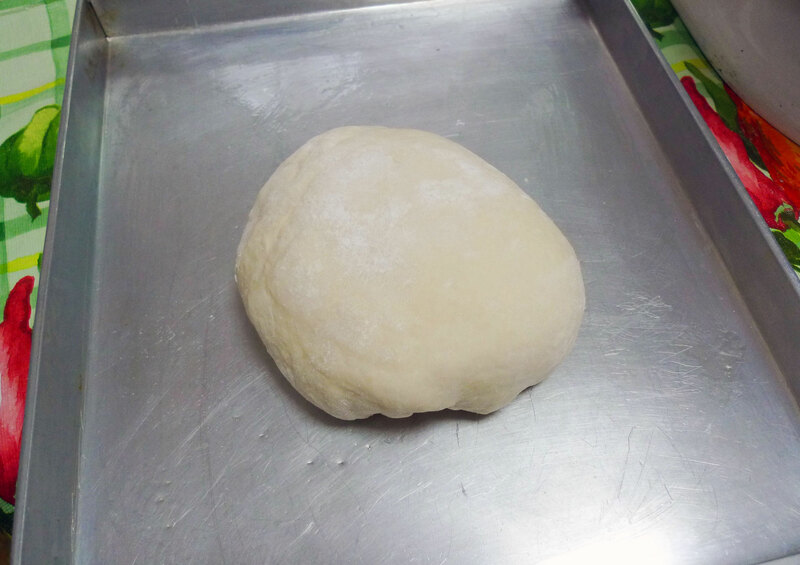 After an hour, you can see that the dough has gone boomz! 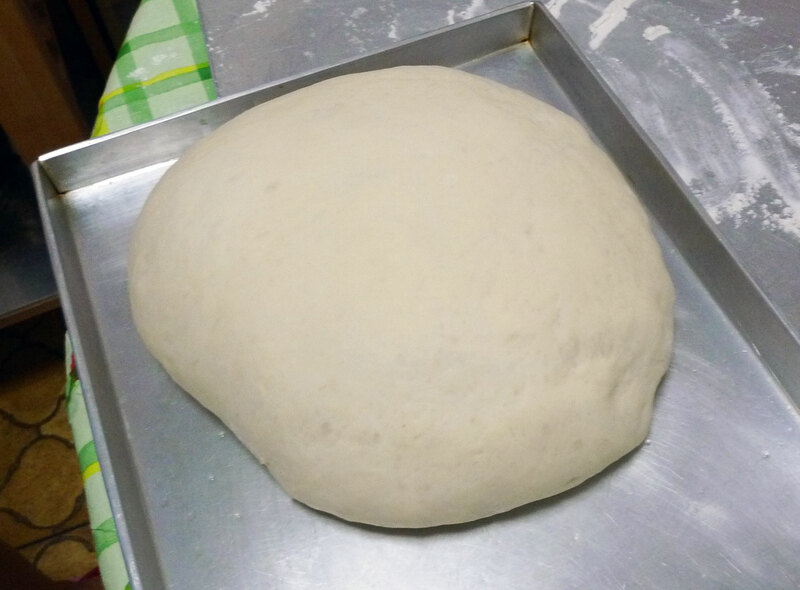 This forms the base of the 4 pizzas and each one had different toppings. 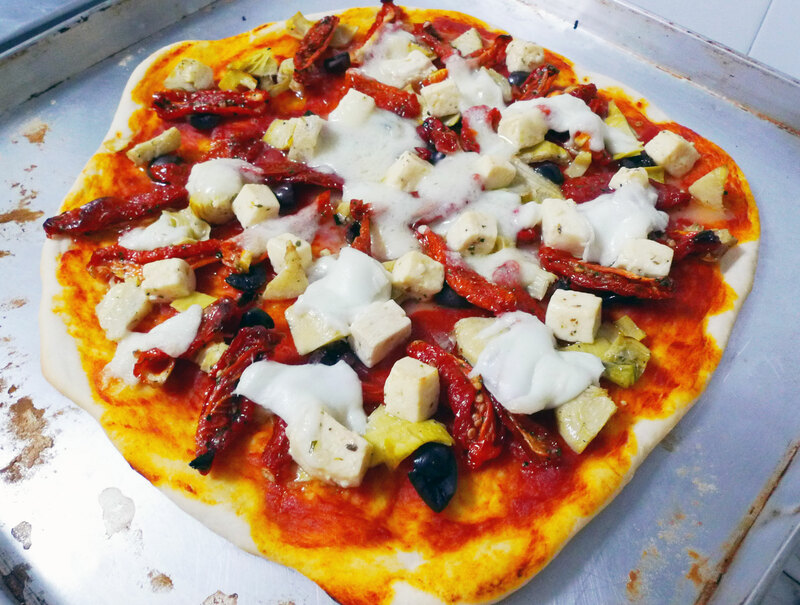 The pizza margherita was named after Italy’s Queen Margherita when she visited Naples in the late 19th century and loved this newly invented pizza which was meant to represent the colours of the Italian flag – tomato red, mozzarella white and basil green. Here I used mozzarella di bufala for a bit of authenticity, which is mozzarella made from water buffalo milk. This buffalo mozzarella has a more delicate and subtle taste than the normal one, with a velvety texture. 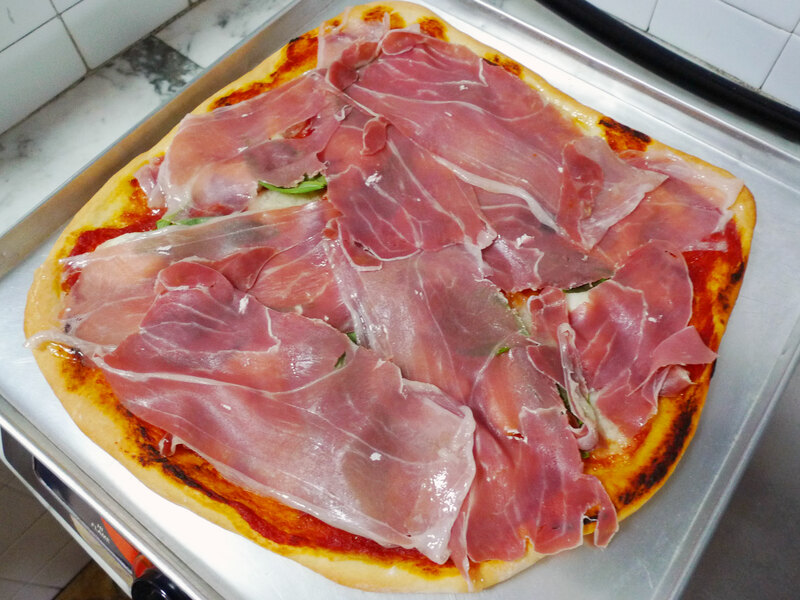 Prosciutto was then added on top to give a huskier flavour to the pizza. 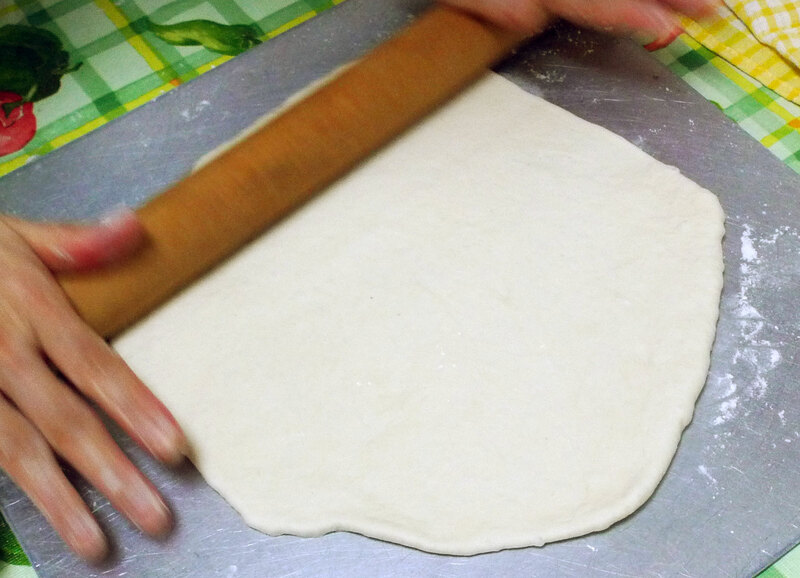 Pizza marinara means sailor style pizza, which is to emulate making a pizza on-board a ship. That means food that does not spoil on a ship, hence no mozzarella cheese. 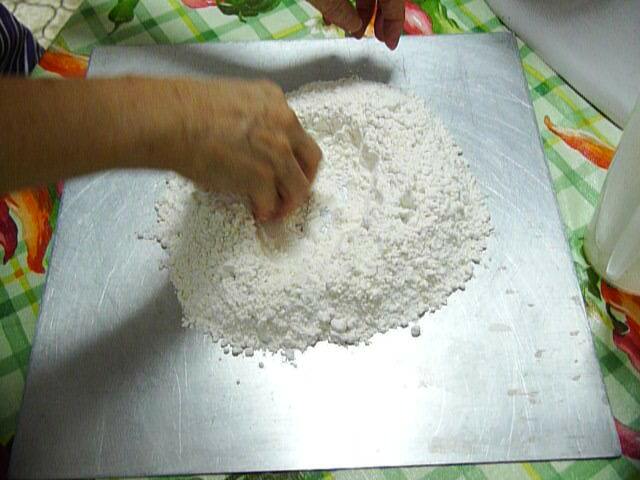 Instead garlic and extra virgin olive oil are used. 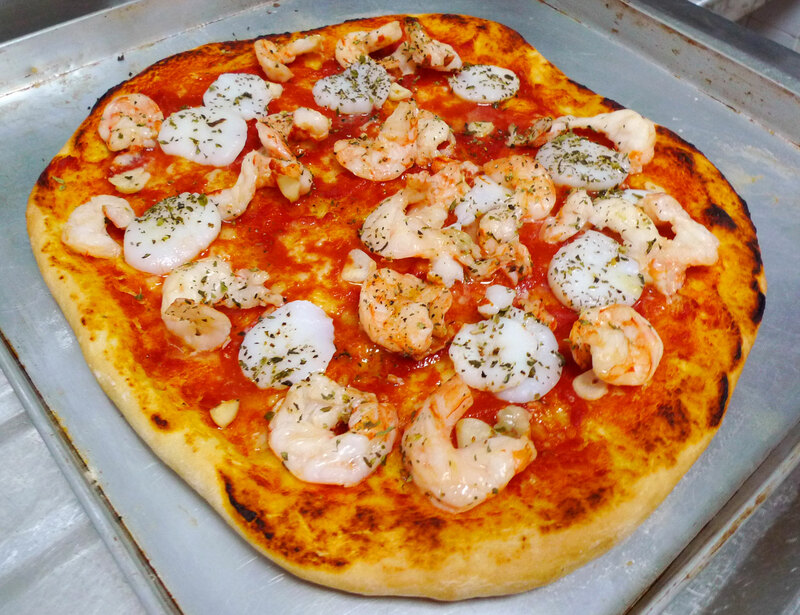 Other toppings were usually caught fresh from the sea, like fish, but in this case I used scallops and prawns. 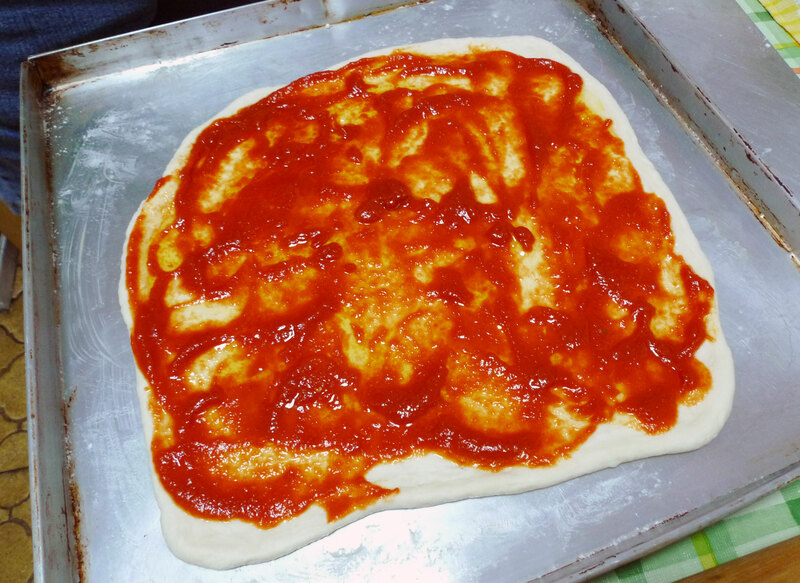 Pizza romana means Roman style, as it is known in Naples but it is commonly known elsewhere as pizza napoletana. 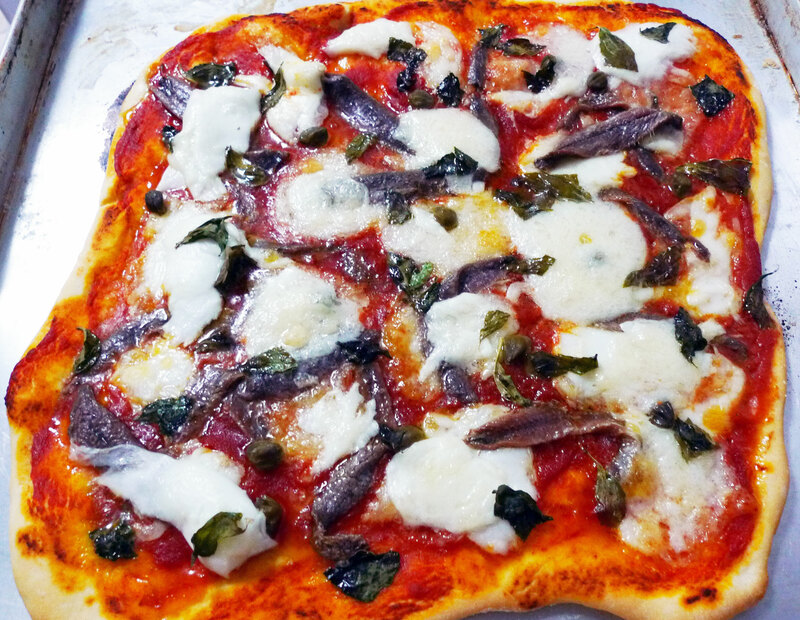 It is a local Roman variation on the pizza Margherita where they use anchovies but I definitely added too many anchovies for this pizza! I also threw on some capers to bring in a bit of acidity to balance the anchovies. This is my own invention, mainly inspired by the fresh items in the Mediterranean counter at Cold Storage. Very strong flavours with each bite of the pizza, especially from the Kalamata olives and the semi-dried tomatoes. The feta cheese and artichokes were there to moderate the intense tastes. 4 Responses to "4 different home-made pizzas"
I’ll take Pizza alla romana con capperi & Pizza alla Mediterraneo please. Pizza, pasta, rosti, any thoughts about setting up your own cafe? Haha I’d be lying if I said I didn’t think about it, but it’s way too early still! I still have a lot more to learn about cooking! Thanks very much! 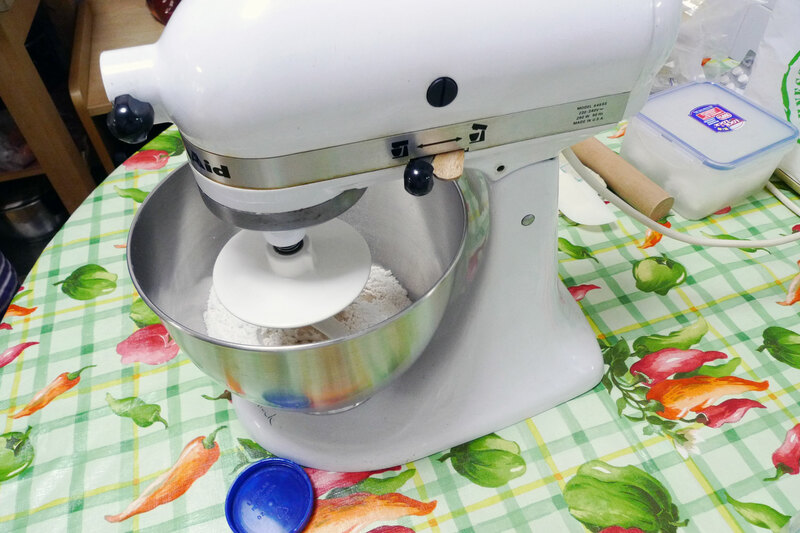 I like to get down and dirty with the cooking so that I can learn how all the yummy food comes about 😀 It is quite tedious though, so your version is good in a pinch!